Premise: Prior to the show, the studio audience comprised of lottery winners is divided into five sections with one contestant, who has qualified to compete on the show by the Monopoly Millionaires’ Club state lottery game, selected to play on the behalf of their section. Five mini-games are played throughout the front game and contestants are randomly selected to play each game. Mini-games include “Park It“, “Advance To Boardwalk“, “Block Party“, “Community Chest“, “Ride The Rails“, “Electric Company” and “No Vacancy“. Click on the links above to see how each game is played. Each mini-game is played for a maximum prize of $100,000 in cash to split between the contestant and audience members in the winning section. Once the five front games have been played, the winning contestants must decide whether to keep their winnings or trade it back for a chance to play the “Go For A Million” end game. The winner who risked the most money plays the final round while the other contestants leave with their winnings. Before two commercial breaks, two lottery winners are given the chance to win up to $10,000 by playing either the Cash Register, Money Bags or Hotel Blueprints game. Co-host Todd Newton hosts the segments. 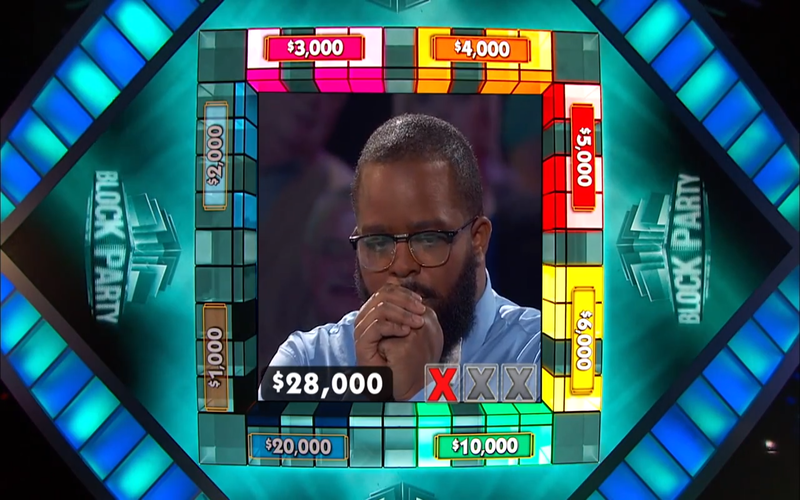 In “Go For A Million”, the contestant starts on GO and has five rolls to go around the board past GO. Landing on a property space awards the contestant cash, landing on a railroad wins the contestant a trip and landing on a utility, Community Chest or Chance space wins the contestant a special prize. Rolling doubles gives the contestant an extra roll. Going around board passing GO won the contestant $200,000 between him/her and the winning section. if the contestant lands on GO, he/she wins $1 million for themselves and the winning section wins an Audience Jackpot worth over $200,000. If the contestant is unable to reach GO in five rolls, lands on Go To Jail or rolls three doubles, the contestants leaves with nothing. Since the birth of U.S. lottery game shows in the 1980s with California Lottery’s long-running series The Big Spin, nearly every show (nationally syndicated or locally broadcasted) within the television sub-genre has essentially followed the same format of randomly selecting seemingly subdued and unimpressed lottery-winning contestants to play luck-based, low-risk games on a cheap, low-budget set for tens, hundreds or even millions of dollars in cash. Although Monopoly Millionaires’ Club follows in the similar footsteps of many other lottery game shows in the country, there are several reasons that separate the new series from the rest of the pack. Game’s Fun For Everyone: The inclusion of the other participating lottery winners sharing the contestants’ winnings makes the show more lively and vivacious, and the studio audience’s reactions and applause seem more authentic than canned and forced. Amazing Set: What do game shows like Press Your Luck, The Price Is Right and The Cube have in common? They all are game shows whose intriguing, interactive sets “come to life” whenever the game is played (e.g. : on Press Your Luck’s Big Board, The Price Is Right’s Pl!nko board, The Cube itself) and keeps the home audience engaged to gameplay (and even makes them want to audition and compete on the show in person to experience it for themselves. (I dare you to find one person who doesn’t want to spin The Price Is Right‘s big wheel or traverse through Legends of The Hidden Temple’s temple (sans the temple guards) at least once.) 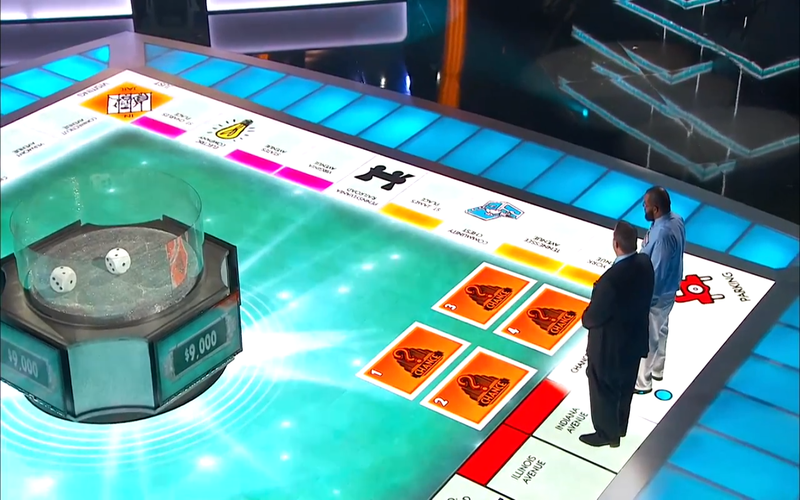 Monopoly Millionaires’ Club has, hands down, the most creatively designed, incredible and vibrant sets I’ve ever seen on any lottery game show, U.S. or abroad. Nerve-Racking Gameplay: Another aspect that makes Monopoly Millionaires’ Club unique is the producers adding more games that involve strategy, intuition, risk and suspense rather than sticking with games based on pure luck and random chance. The show also has a bit of a Price Is Right feel to it with the varying, yet slim, selection of mini-games played on each episode. Better-Than-Average Host: For his first game show, Billy Gardell is doing a respectable job of at the helm of Monopoly Millionaires’ Club. He does an great job ensuring the contestants know how to play each game in a simple, uncomplicated manner, showing genuine enthusiasm at the right moments whenever a contestant wins big and taking time out between rounds to briefly entertaining and getting to know the audience. 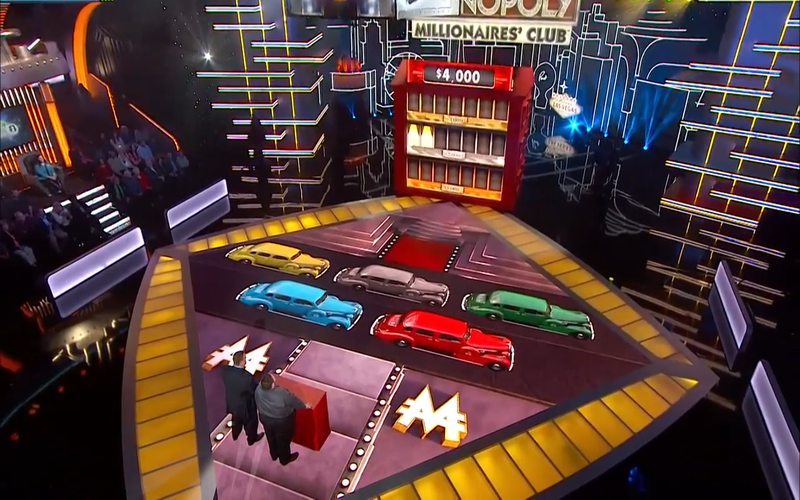 Overall, as far a lottery game show go, Monopoly Millionaires’ Club is the most interesting one I’ve seen to date. The amazing computerized, LED-filled set and genuinely enthusiastic atmosphere the show exhibits makes Monopoly Millionaires’ Club enjoyable to watch even if you don’t really care for shows with little to no redeeming value. I am concerned with the show’s potential longevity given the lottery program’s initial ticket drawing game was pulled in December 2014 due to low sales and later revived as a scratcher a few months later. Also considering GSN’s last-second decision to pull the show from its schedule a day before making its network debut, I think Monopoly Millionaires’ Club will only last for a season. Enjoy the show in your area while it’s still here. 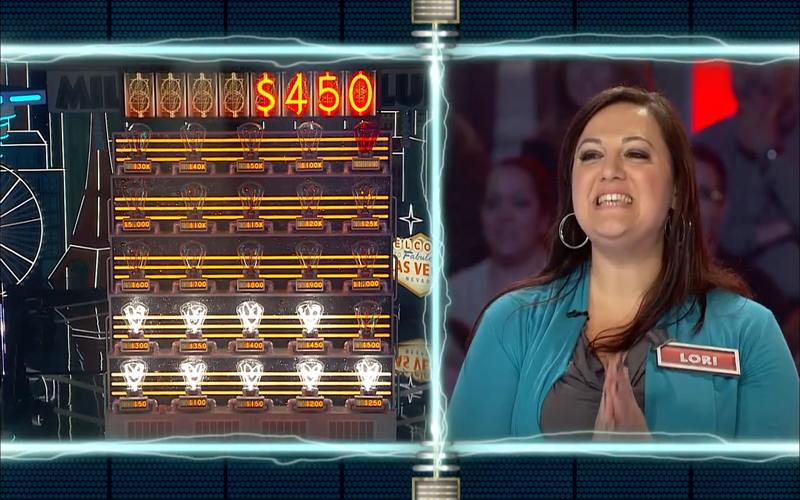 Watch new episodes of Monopoly Millionaires’ Club every weekend in syndication! Check your local listings. Why has the Hoosier Lottery not posted any information about the results of the September 15, 2015 drawing for the Monopoly Millionaires Club scratch off 2nd chance promotion? At least as of 9/26 ? Is the game about to go belly up for the second time? I've already been wondering why hardly any retailers have the monopoly scratch off tickets now. I suppose with only a couple hundred entries that I had the proverbial snowballs chance in you know where of winning a trip to vegas. I'd just like to put some closure on it, did I win? did I not win? Is there a video tape of the drawing somewhere? How many people had more entries than I did? How many entries did the person who had the most entries have? Did he/she win? Has everyone who won the trip in the 9/15/15 drawing been disqualified? Will they have a do over? I don't know if I'll be dropping 5 bucks a whack on any more Monopoly scratch-offs, since it seems to be such a shady enterprise.